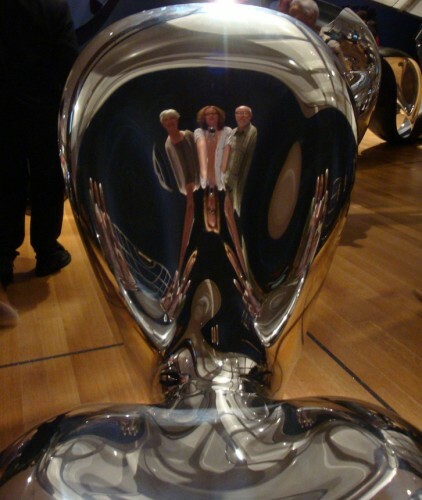 My mom, me and hubby, reflection in a Ron Arad sculpture. Is it bad that the first thing I thought when I saw the title to this post was “Da da da”? This is made of so much awesome and win. Your husband looks like an eccentric scientist and your hair makes you look like you’re the perfect partner for an eccentric scientist. It makes me think of Poison Ivy and her husband for some reason. His beard is superb also, from what I can see. Every time nyokki posts photos I get excited like this don’t judge me. It also kind of looks like your shirt is undone. This is from the same day as my “bewb shot”.